On the left is Gooseberry Ratafia, in the middle is Advocaat, and on the right is Mint Liqueur. I can’t tell you about the flavour because none of them are ready to drink yet. They were all pretty easy to make. 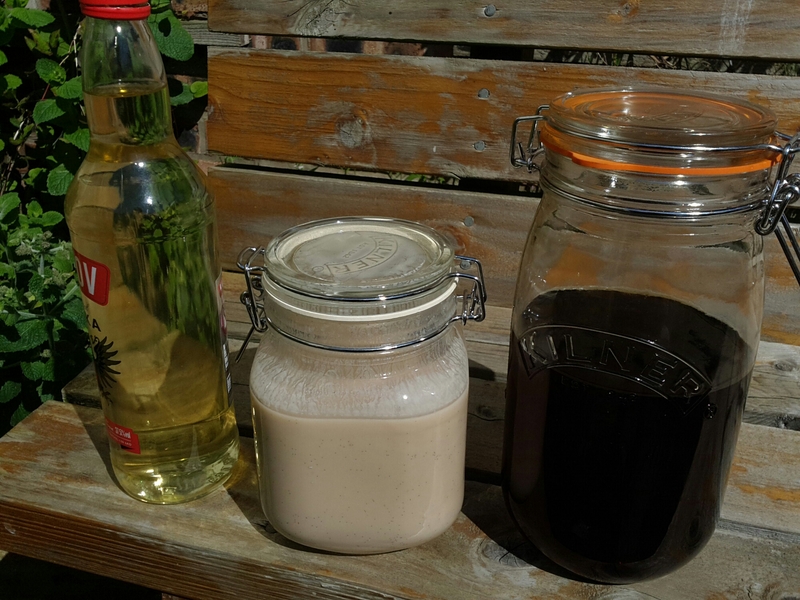 Gooseberry Ratafia: blitz the gooseberries in the food processor and then squeeze the juice out; mix the juice with vodka, a cinnamon stick, some cloves and sugar; leave to stand for a month to settle out the sediment; siphon off and add more sugar then leave another month. Advocaat: make a sugar syrup with sugar, water, evaporated milk and a vanilla pod; whisk six egg yolks and then whisk in the sugar syrup (carefully so you don’t get scrambled egg); stir in half a bottle of brandy and leave for a week. Mint Liqueur: freeze mint leaves so that they crumble into tiny pieces; add to a bottle of vodka for a week shaking regularly; filter out the leaves then add sugar and glycerine; store for a few months. 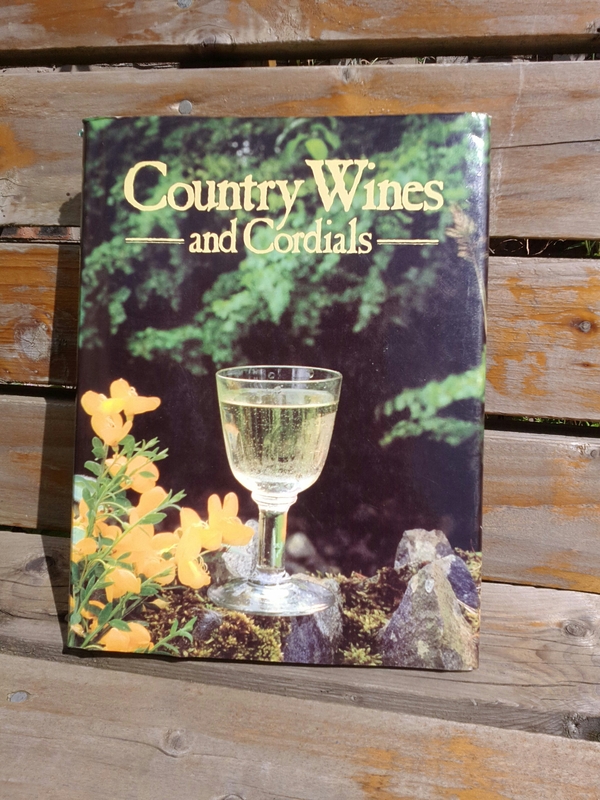 All the recipes came from an old book called Country Wines And Cordials.